The porter-cable 20v cordless drill driver has a brushless motor which provides 50 percent more runtime. The impact driver yields 1,450 in/lbs of torque and features minimal stall. The transmission has 1,800 max RPM for speedy drilling and fastening. Bit retention is improved and dependable via the 1/2″ ratcheting chuck. This drill is compact at 7.4″, making it ideal for working in small spaces. It is lightweight at 3.3 lbs for less user fatigue. It comes backed by a 3-year limited warranty. This model comes with the drill, two PCC680L batteries, and one PCC699L charger. Chuck can slip on smaller drill bits of 1/16″ of an inch – this is typical across the board. 1) How much is this drill? This cordless drill retails for under $100 and is one of the best in its price range. 2) Is this drill good for fastening? Yes, it has 1,800 RPM for fast drilling and fastening. 3) How is the battery? The battery has a decent life, but the charger is a little flimsy and cheap. This model offers the mobility of a cordless drill with a compact and lightweight design that makes it an ideal drill for job sites or projects that involve working in tight spaces. It has high torque at 1,450 in/lbs and 1,800 RPM for fast drilling and fastening applications. For its price, at under $200, it is one of the best and most versatile drills in its price range. The Porter has a brushless motor that results in 50 percent more runtime so you can get those projects done faster and easier. The motor has 370 MWOs of power for heavy-duty uses and minimal stall. It has a 1,800 RPM transmission for increased drilling speed and fastening uses. The 1/2″ ratcheting chuck gives better bit retention. At 7.4″, it is compact, making it ideal for working in tight spaces. Weighing in at 3.3 lbs, it is extremely lightweight for less user fatigue. The mode collar enables users to switch between drilling and fastening while maintaining the clutch setting. When it comes to maintenance of your drill, keep your equipment warranty, so if any defective parts need repair or replacement within the 3-year window, the warranty will cover it. The Porter offers a 3-year warranty on the drill and a 2-year warranty on the batteries. The warranties guard against material defects or workmanship, but not tool misuse. It is important to blow out all the air passages using dry compressed air. Any plastic parts on the drill should be cleaned periodically with a damp non-abrasive cloth. Do not use solvents to clean any plastic parts as it could damage the material or cause it to dissolve. The Porter Cable uses a 20V lithium-ion battery. The battery provides ample power for drilling holes and driving screws quickly and with ease. The battery lasts 30 minutes, which is below average, but it does come with two. 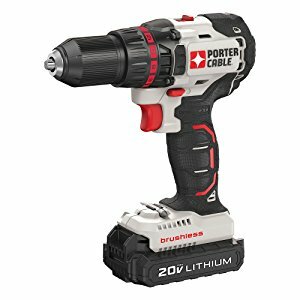 Who is the Cordless drill Ideal For? This brand is perfect for use on the jobsite or on DIY projects around the house. The lightweight and compact design makes it easy to use and transport. Anyone wanting the benefit of added mobility will enjoy the cordless feature, and anyone needing to do work in small places will benefit from its compact size at 7.4″ and weighing 3.3 lbs. The lithium-ion battery life of the drill is a bit of a drawback, although it does recharge quickly and comes with two batteries. This drill does not come with a case, so there is no place to store the extra battery and charger adapter. This does make it harder to transport the drill, and the charging adapter is a little small. The adapter also ends in a rectangular-shaped wall mart that blocks access to the lower receptacle of a wall electrical outlet, if it is plugged into the top. As the first power tool company to introduce the cordless drill way back in the 60s, Porter Cable also did the same with rechargeable batteries in the 70s. Approximately eight years ago, they launched their first brushless tool line; clearly, Porter Cable is an industry leader. But comparing top combo kits from Porter cable and Makita 18v lxt drill, which one is best? The general consensus is that Makita builds better-quality tools overall. But then price comes into play, as this is often a deciding factor for many consumers. While the well-built Makita drills are more money, Porter Cable does have a competitive line of 20V high-powered cordless drills that are somewhat close in quality. Brushless motors are all the rage in power tools these days. They bring better performance and efficiency over brushed motors. As a result, brushless motors do cost more. Does the Porter outperform the Makita as a result: not quite. To break it down, if you want the best cordless drill/impact driver, go with the Makita. There is a noticeable gap between the Porter quality and Makita. If you are just starting to build your power tool arsenal and are not looking for a highly durable drill that will undergo heavy-duty use, the cost of the Porter Cable gives it a positive price value and would be worth purchasing over the Makita. DeWalt continues to be one of the industry leaders for power tools. The DeWalt name is trusted on work sites and in homes. DeWalt 20v drill wins in terms of quality of build. Porter products are made from high-grade plastics and nylons, rather than the expensive metals of DeWalt. Porter Cable, however, is a more budget-friendly option. 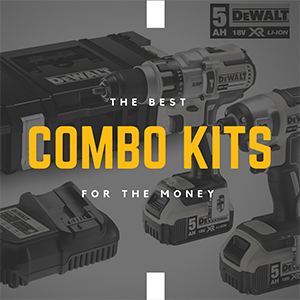 DeWalt cordless drills are high-quality, ideal for heavy-duty construction jobs, or long-term use, while the Porter is ideal for DIYers or lighter projects around the home. The Milwaukee M18 cordless drill combines patented electronics and technologies, innovative motor design, and superior ergonomics. This model is known to provide the most effective combination of power, performance, and weight in the industry. Powered by REDLITHIUM, the M18 drill/driver outshines the competition in terms of torque, power, and longer runtime. It delivers 500 in/lbs of torque and is lightweight at 4 lbs and compact at just over 7″ long. The M18 comes with two REDLITHIUM batteries, a charger, and a carrying case. Porter Cable does, again, have the advantage of price over the Milwaukee and is backed by a three-year warranty. Users have also reported that the Porter is not the best in terms of ergonomic design and durability so is not generally the top choice when it comes to heavy-duty projects or long-term use. When it comes to the Porter Cable 20V cordless drill, this is an easy-to-use versatile power tool. It is lighter than many other cordless drills out there and is amongst the most compact. Part of the reason it is lighter, though, are the materials used in the build, such as high-grade plastics and nylons, rather the more expensive, durable, and heavier metals of competing brands. It features more torque than a lot of the competitors at 1,540 in/lbs, but at 1,800 RPMS, DeWalt and Makita are a cut above. Porter’s 3-year warranty is great for replacing or repairing parts that are defective. Many drill kits do, however, come with a carrying case, making transport and storage easier, and this would enhance the appeal of the Porter. 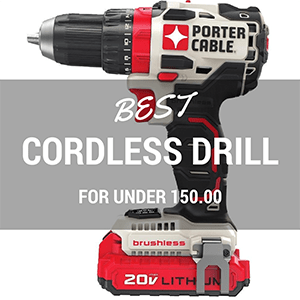 Ultimately, the Porter Cable 20V cordless drill is seen by most as ideal for those starting out in their power tool collection, as it is the perfect tool for lightweight, home, DIY projects.